The modern world of science and technology has changed people’s life tremendously by offering advanced programs and Internet technology with very short period of time. As to the area of file storage and backup devices, we have witnessed great changes and improvements. Hard drive, SSD, flash memory, memory stick, SD card, USB flash drive, etc. are popular storage devices. Memory stick can be used on portable machines, such as digital camera, cell phones and many other devices. And this article centers on explaining solutions of data loss from memory stick which may store you precious photos, music, video slips, etc. Files on memory stick may get formatted when errors happen to file system. Here we’d like to tell useful skills to unformat memory stick and restore your significant and sensitive data from memory stick and memory card. Eassos Ltd. provides solutions and tools that can unformat memory stick, SD card, hard drive, etc. for free and retrieve lost data. Living a world where Internet and information technology is so well-developed, people often face too many choice when making any decisions. Thus, it won’t be surprising that you will have many options while you are searching for unformat software. However, not all recovery programs perform as well as we hope. You need to choose qualified and effective software to finish the memory stick recovery task. 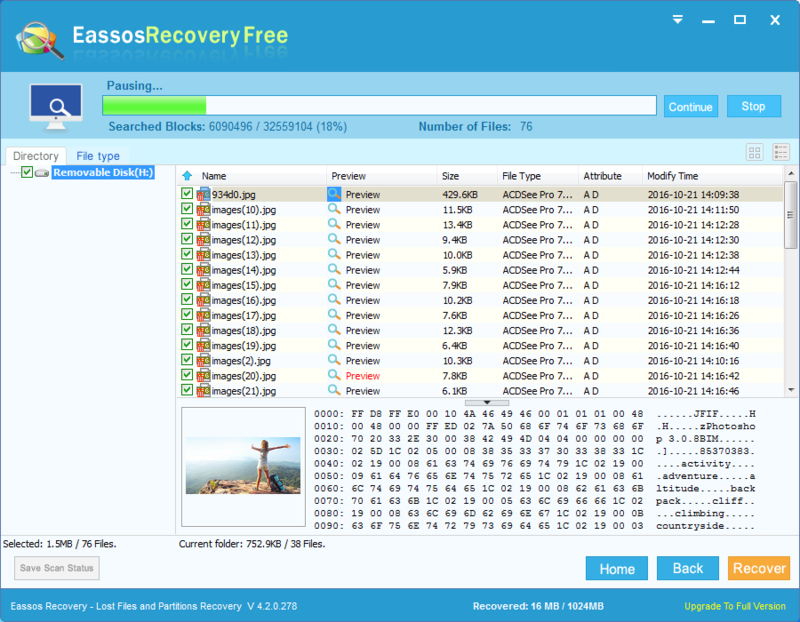 Eassos Recovery from Eassos Ltd can be your best choice, as it supports all major models and brands of memory sticks and memory card. Its graphical user interface makes it superior to other recovery tools. All users who just lost valuable images, precious pictures and important digital photos can use this program to restore erased, missing, and corrupted files from formatted memory stick, SD card, hard drive, etc. Restore all types of pictures unformatted from memory stick, including JPG, JPEG, PNG, TIFF, BMP, PSD, etc. Supports all memory sticks and memory cards, such as Sony, Kingston, BenQ, Pentax, Transcend, Toshiba, etc. Recover lost data from virus attack, system crash, human error, program malfunction, file system corruption, formatting, deletion, etc. 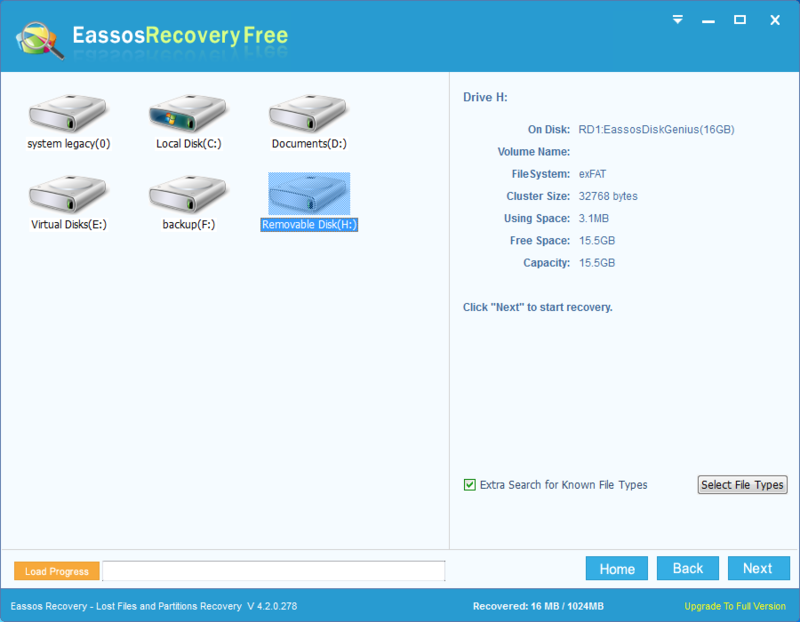 Step 1: Install Eassos Recovery to desktop or laptop and start the program. Step 2: Connect the formatted memory stick to computer. 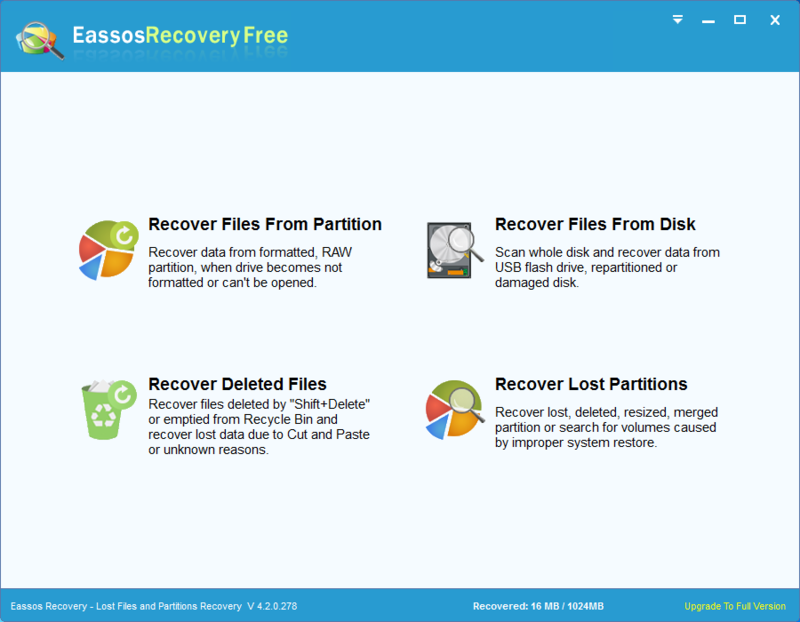 Step 3: Select recovery module by clicking the button on Eassos Recovery main interface. since you want to unformat memory stick, the “Recover Files From Partition” option should be selected. Step 4: Select the memory stick that you are going to unformat, and click “Next” to scan files. Step 5: Preview and save listed files. Select files you want to restore and click “Recover” button. Then you’ll be able to save these files to a desired loaction. This entry was posted in Data Recovery and tagged memory stick recovery, Unformat memory stick, unformat software by EASSOS. Bookmark the permalink.